On Friday I took the long way to work. It was winding back roads through fall trees. I came to an office complex with an orchard surrounded with grass and paths. 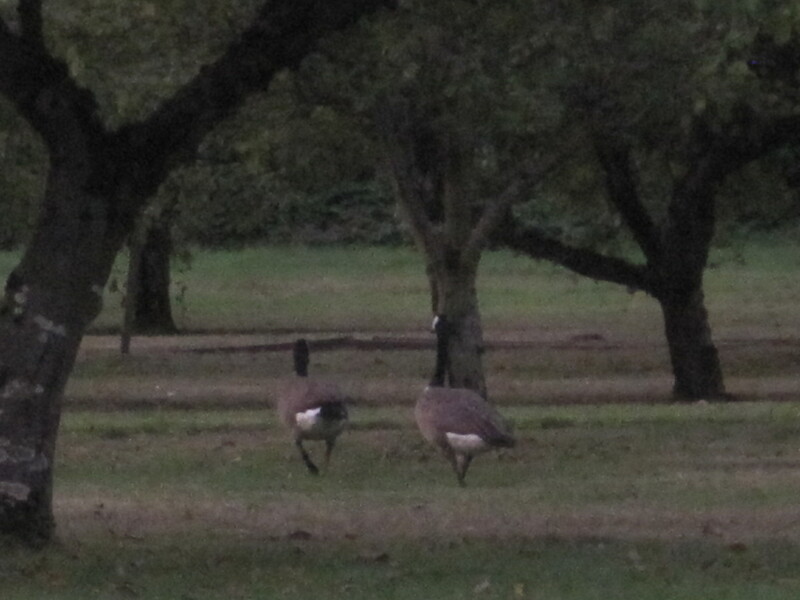 There the Canadian Geese were frolicking in the meadow. What a lovely moment of serendipity to share with you.